Crowdfunding first made its name in artistic circles, with musicians, writers and painters turning to it as an alternative way to fund big projects. Now, the field has opened up to all sorts of different funding opportunities – including many for businesses. Whether you're looking for money to kick-start a new project or the capital to start a business, there are many sites that can help you get in touch with potential investors. 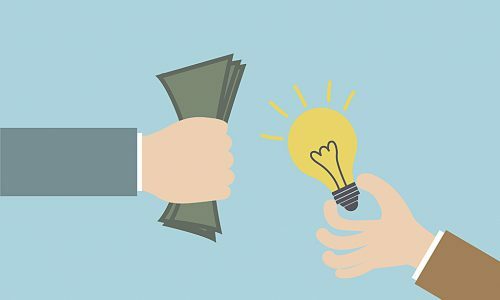 We provide a rundown of some of the crowdfunding sites available to businesses and how they can help you launch your enterprise venture or idea. Designed to let investors get involved from the ground up, VentureCrowd is the perfect crowdfunding partner for Australian startups. Unlike other crowdfunding sites, which put the emphasis on exchanging cash for a future product, the focus is on allowing investors to exchange cash for an equity interest in their chosen business. This makes it an especially good choice for businesses planning major expansion or long-term projects. Running since 2005, the Australian Small Scale Offerings Board (ASSOB) matches investors with entrepreneurs to help ensure quality projects find the funding they need. It is the largest of Australia's matching platforms for investors and high-growth unlisted Australian companies. It also doesn't demand that companies have a minimum size or particular track record. This means the spotlight is on the quality of the idea and the likelihood it will be fully realised with the right investment. While Indiegogo isn't solely focused on small-business funding, the platform lends itself well to the market and has a good track record for helping entrepreneurs get an idea off the ground. It's very easy to launch a campaign and there are no set-up fees. It's great for connecting with potential investors and collaborators from around the world and perfect for businesses that have a quirky product or unusual message. Again, OzCrowd is not aimed specifically at businesses, but it can be a useful platform for them to utilise. Not only are its management fees very reasonable, it’s also proud to be 100 per cent Australian owned. Its team of experts are available to offer a helping hand and the site offers a very flexible model. If you have a business idea that breaks traditional moulds, this might be the perfect place to find funding for it. Is your startup in need of investment to get it off the ground? Give it the chance to thrive and consider the potentials that crowdfunding can offer.